On a microwave-safe plate lined with 2 paper towels, arrange the bacon in a layer. Cover with 2 paper towels and microwave for about 6 minutes, until crisp. Let the bacon cool, then finely chop. Discard the paper towels and wipe off the plate. Line the same plate with a paper towel and spread the rosemary on it. Microwave for about 2 minutes, until the rosemary is dry. Finely chop the rosemary. In a large microwave-safe bowl, combine the olive oil with the honey, paprika and crushed red pepper. Microwave for about 45 seconds, until just bubbling. Add the pretzels and peanuts and stir to coat. Microwave for 4 minutes, stirring halfway through. Add the bacon and rosemary and stir gently to combine. Microwave for 4 minutes, stirring halfway through. Line a rimmed baking sheet with parchment. Spread the pretzel mixture on the prepared baking sheet and let cool completely before serving. 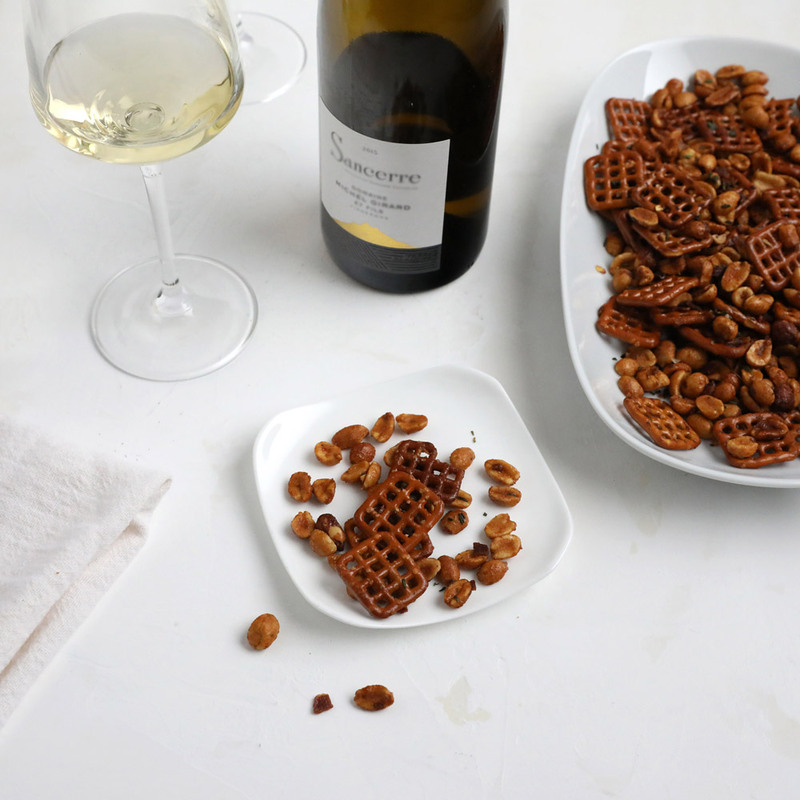 The party mix can be stored in an airtight container at room temperature for about 1 week.